MEPs debate the revised directive on cross-border traffic fines and hear doubts about the enforcement regime. Also, Mercedes’ off-road van impresses in Sweden. Romania will build more motorways after all. Brittany Ferries unveils the new name for its new no-frills boat. EU debate on cross-border fines also hears doubts on procedure for dealing with non-payers. Updated below with result of vote. Half a million British drivers get away with speeding fines in France each year an MEP claimed today. London Labour MEP Lucy Anderson was speaking in a European Parliament debate on the revised directive ‘Cross-border exchange of information on road safety related traffic offences’. 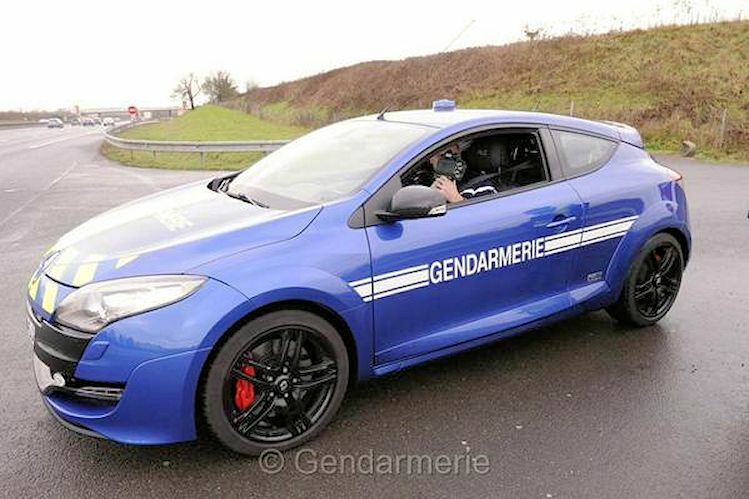 Oft quoted statistics say 25% of speeding offences in France are committed by foreign drivers rising to 50% during the summer months. The vote tomorrow is expected to be overwhelmingly in favour of adopting the new rules which will see drivers fined at home for eight traffic offences committed in other EU (and EEA) countries. The offences include speeding, not wearing a seatbelt, failing to stop at red lights, driving whilst drunk or on drugs, using a forbidden lane or using a mobile phone while driving. However, several MEPs expressed concerns over the enforcement of the fines. In reply, the European Commission’s Transport Commissioner Violeta Bulc said the procedure for non-payment of fines would be included in the review of the new rules due next year. At the same time, the Commission will examine common standards for checking equipment and whether to include additional offences or harmonise traffic rules. The UK, Ireland and Denmark have until May 2017 to adopt the law. Other EU countries were covered in the original directive which came into force in November 2013, twenty two of which have so far implemented the cross-border fines rules. Countries known not to have done so include Bulgaria, Cyprus and Slovenia. The European Transport Safety Council has compiled a handy FAQ on cross-border fines. Update 11 February: as expected, MEPs voted in favour of cross-border traffic fines at a session of the European Parliament this lunchtime. 640 MEPs voted for, 61 against with 6 abstentions. 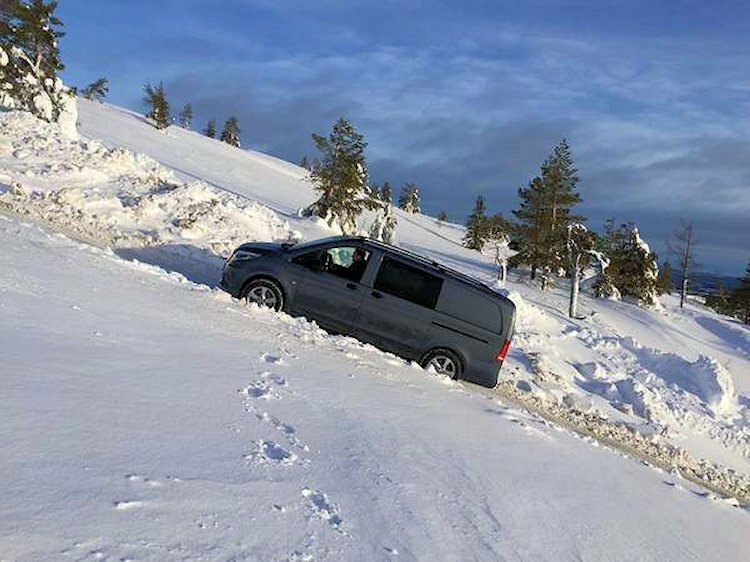 During winter testing in Sweden, Mercedes boasts its new Vito 4×4 can go anywhere. roundup: ROMANIA. A revised transport master plan has upgraded 645km of expressway into full highway after public consultation reports the Independent Balkan News Agency. The previous plan published at the end of last year included virtually no motorways in favour of cheaper, quicker and easier to build dual carriageways. One of the upgraded sections is the all-important Sibiu-Pitesti trans-Carpathian road linking Bucharest and Western Europe. CROSSING THE CHANNEL. Brittany Ferries has named its new ‘economie’ ship Baie de Seine after the bay in northern France between Le Havre and Caen at the estuary of the Seine river. The former DFDS Sirena Seaways will double the number of highly popular no-frills sailings between the UK, France and Spain from May.